Lincoln County is no longer one of the best kept secrets in North Carolina for those who enjoy a little slower way of life without all the commercialization and big box stores. The past decade has been one of tremendous growth for Lincoln County by way of business growth which has brought an influx of new residents and a multitude of new neighborhoods. Accessibility has played a key factor in this growth. 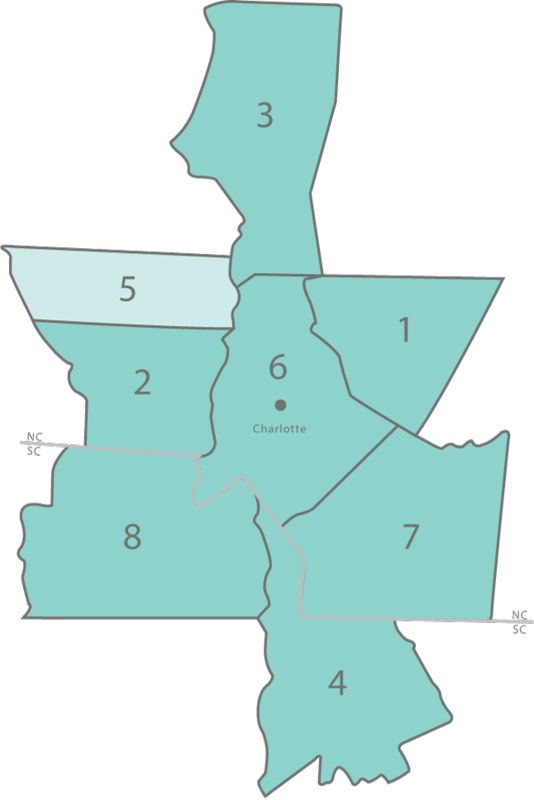 Lincoln County is located approximately 29 miles northwest of Uptown Charlotte and is easily accessible from I-85 on its southern border; Hwy 321 runs north through the center and connects to I-40; Hwy 16 connects to Uptown Charlotte; and I-77 is approximately 25 minutes east of the Town of Lincolnton. The Lincoln County Regional Airport is centrally located in Iron Station and services corporate and private clients and Charlotte Douglas International Airport is just 20 minutes south. In addition, the county operates the Lincoln County Express which is part of the Charlotte Area Transit System (CATS) and provides direct service from East Lincoln County to Uptown Charlotte. Lincolnton and Denver are the only two towns within the county, but there are several unincorporated areas including Iron Station, Boger City, Westport and Vale and one census designated place, Lowesville. The City of Lincolnton, which is the county seat, is situated in the heart of the county and is a thriving cultural arts community with abundant charm. The downtown area of Main Street is retains a historic look and feel and is home to many quaint restaurants, specialty boutiques, antique shops, pottery shops, art studios, and hosts numerous community events including concerts, plays, and exhibits throughout the year. Lincoln County was one of the largest counties in North Carolina in the 1840's and lead the state in producing wheat, orchard and dairy products. By the 1850's, manufacturing took hold. There were iron plants, saw mills, grist mills, tanneries, paper mills and potteries thriving throughout the area. With the emergence of textile mills in the early 1900's, Lincoln County flourished and the town of Lincolnton became its central community. The downtown area of Lincolnton was centered around its majestic county courthouse called court square and the area was divided into quadrants with four main streets that still exist today. Two of the streets: South Aspen Street and North Aspen Street are on the National Register of Historic Districts. Throughout Lincoln County there are 23 sites listed on the National Register of Historic Places and numerous State Historical Markers. There are so many reasons why residents and businesses have chosen to make Lincoln County home. For those who love boating, swimming, water or jet skiing, and fishing then Lake Norman is the place to be on the eastern side of the county. Music lovers will enjoy the Alive After Five Summer Concert Series that plays downtown in Lincolnton. Each September on the third Saturday, the Apple Festival takes over downtown Lincolnton and is attended by thousands from near and far. Woodmill Winery is located in Vale and is a terrific way to spend a day and has special events throughout the year. In addition, there a number of parks each offering a multitude of outdoor activities. Those who enjoy local produce can shop at the Farmers Markets located in downtown Lincolnton and Denver and every Saturday and Sunday you'll find many people shopping at the Lincolnton Flea Market. One can also fish year-round in one of two lakes at the Catfish and Carp Country in Iron Station and golfers can choose from several public courses.